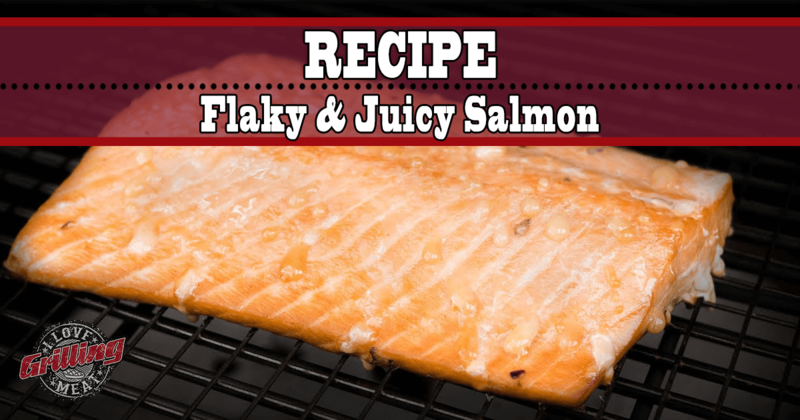 In this cook you’ll discover a juicy salmon that’s so flaky and delicious you can use it on sandwiches. You’ll also discover this mouthwatering home made dill and caper mayonnaise to add to your fish. Mix all of the ingredients for the marinade in a bowl. Whenever available, use fresh & locally sourced ingredients in your marinades – it really does make a difference in the taste. Place the salmon fillet in a ziploc bag, and pour the marinade over it until fully submerged. Seal the ziploc bag, while pushing out as much of the air as possible. Place the bag in the fridge for a minimum of 2 hours, up to 8 (overnight). Let’s fire up that grill! Set up for indirect cooking (or use a deflector plate), and add some smoke wood chips (used here: cherry wood). Get your salmon out of the marinade, and scrape off the ingredients that are stuck to it. Place the fish on a drying rack, this will make transporting it to and from the pit easier, and also ensure the smoke can get to the bottom side as well. Pat the top dry with a paper towel. While the salmon is cooking, there’s plenty of time to make the custom dill & caper mayonaise. Simply mix all of the ingredients until the mixture looks uniform, then taste to make sure it’s as delicious as it looks. When the salmon hits a core temperature of 140ºF, it’s ready. This is a bit higher than the temperature necessary, but it makes sure the fish becomes flaky without overcooking or drying it up. Gently pat it dry and transfer to a plate. Now grab some bread, and make yourself a few salmon sandwiches! Lay down some lettuce, then some flaked slamon, and top with the dill & caper mayonaise. That looks so good..!